The Sante Fe's slimmer grille and smaller headlamps give it a sleeker, less-boxy look than previous models. SEOUL (Reuters) – Hyundai said on Thursday it aimed to sell 152,000 revamped Santa Fe SUVs globally this year, as it seeks to hold off a surge from high-end foreign brands at home. The Santa Fe is Hyundai's sole model to be launched globally this year and comes as its domestic car sales are increasingly under pressure after Seoul signed free trade agreements with Europe and the United States that have boosted international automakers' access to South Korea's formerly sheltered market. Sales of imported cars topped 10 percent of the market for the first time in January this year, according to industry data, versus less than 1 percent in 2000. 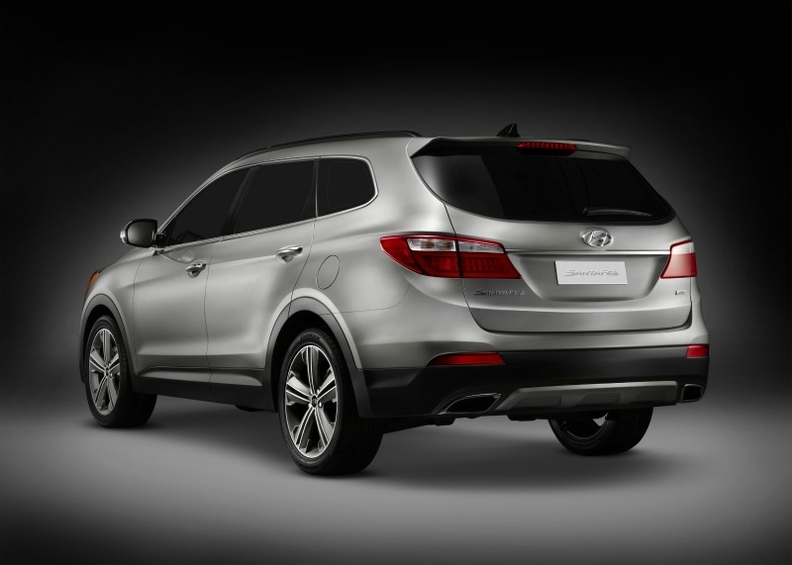 The new Santa Fe is scheduled to launch in June in Europe, in the United States in July and in China in October. 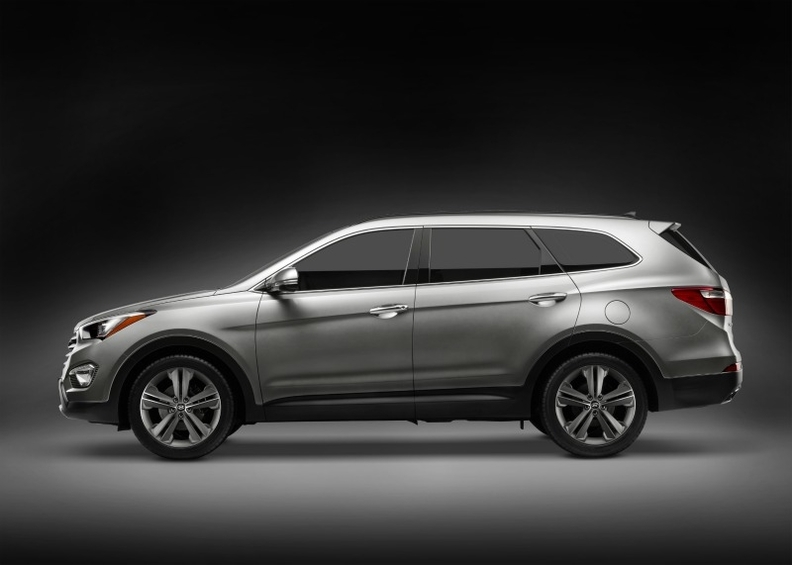 Hyundai said it was targeting sales of 385,000 Santa Fe models in 2013. Last year, the SUV was Hyundai's No. 7 best-seller in Europe with sales down 1.4 percent to 13,549 from 2010, according to market researchers JATO Dynamics. "We are confident about positioning Santa Fe as premium model both at home and in the overseas markets," Hyundai CEO Kim Choong-ho told reporters after the company unveiled the new-look model. "It boasts very competitive fuel mileage of 17 km per liter and a bold design." The third-generation Santa Fe was unveiled at the New York auto show and is the first upgrade in seven years. It completes Hyundai's attempt to introduce a new design dubbed "fluidic sculpture" to its extensive product lineups for a distinctive Hyundai look, a breakaway from the past's quiet and bland design. The Sante Fe uses strong rising body lines to create a streamlined look. The design concept, which features arched lines from the front-center of the car to the end, was first introduced to its flagship Sonata mid-sized sedan in 2009, and is also applied to the Elantra compact and Azera large-sized sedan. The design improvements are cited as one of the key contributors to increased sales, but critics say Hyundai's aggressive design push has split customers and risks driving away as many as it attracts -- not a recipe for big volume sales. 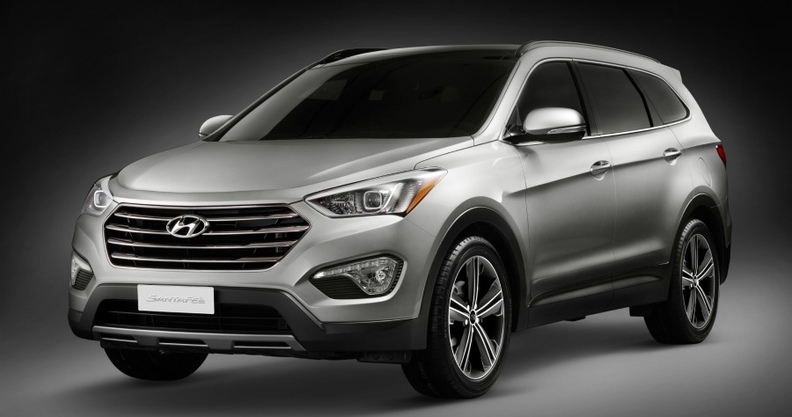 Hyundai says the Santa Fe (pictured) will compete against Audi's midsize Q5 SUV. Hyundai said pre-orders for the model have topped 15,000 in South Korea. It aims to sell 42,000 domestically and 110,000 in the overseas market this year. "High household debt and a slump in the real estate market could depress overall car demand in the domestic market but we hope the overall economic conditions will improve from May," Kim said.